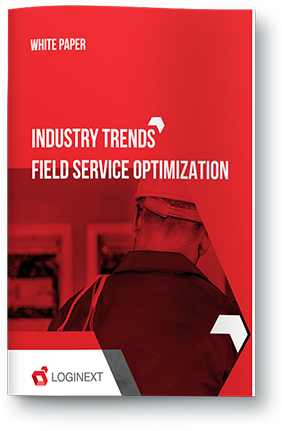 This is a story about effective field agent performance optimization and its resultant benefits. According to one of our major clients in the fast-moving consumer goods (FMCG) sector, field sales effectiveness was something that they wanted to increase as soon as possible. We said, sure, we will increase it by 20% by the end of the quarter. We managed to increase it by 25%. This is how we did it. Some summary of the client. Where did they stand? The client was in the refreshment and beverages business. They wanted to increase the number of retail visits done by their field agents. They wanted to increase their unit case volume (total volume sold/crates of product sold) in large and medium population cities. They wanted to bring transparency to the order generation and invoicing process. They wanted to streamline the time spent by the field agent while maximizing their effectiveness. Their field agent (or pre-sales representative / PSR) moved from the manufacturing plants to the surrounding distributors, modern trade retailers, and general trade retailers. Their primary pain-point was beat planning. This is how LogiNext solved the FMCG giant’s field agent performance issues. Each PSR had a territory that they were more accustomed to than others. Scheduling field visits for an agent along a specific territory was done manually. The problem here is with the amount of field agent preferences that the manager had to keep by the side for targeted allocation of tasks. Furthermore, the overlap of PSR territories between two neighboring areas created unnecessary chaos. This affected the productivity of the visit as the same retailer was sometimes visited by two or more agents. This, of course, added to the total resource cost in terms of time spent. The multiple preferences in allocation, matching territories and retailers to the right PSR, required careful planning which took up hours for the manager. This beat plan for the PSR was called the Permanent Journey Plan (PJP). identify the skill-sets of each PSR such as negotiation, order taking, retailer relations, etc. record feedback (or market insight) from the retailer or stockist regarding the service or the product. LogiNext streamlined existing resources and routes to cater to more retailers in lesser time, hence increasing productivity. LogiNext’s planning engine matched the right PSR to the right retailer and suggested the most optimized beat plan to ensure that the PSR reaches the retailer at the right time. This helped in sustaining and even bettering the relationship between the PSR and retailer, also opening up opportunities to upsell other related products. This increased the total unit case volume per visit and per retailer. Moreover, the regular and consistent relation management with the retailer saw the client develop an edge over their competition. The conversion ratio (order taken/visit) of each visit increased by 27%. This meant that the repeat visits for replenishment of orders were done even faster and with a high unit case volume. With lesser invoicing errors while using LogiNext’s comprehensive and transparent order validation protocols, the client could track its sales process in real-time. LogiNext Field helped the client raise its regional sales revenue by 15%. Total unit case volume transacted increased by 23%. The optimized PJP generated by LogiNext’s planning engine helped the PSR to visit more retailers in a day, and also give sufficient time to each one of them. With a clear service time and field time balance, LogiNext helped increase total retail visits per day by 33%. Even the priority beat plans including the ideal times to visit each retailer was taken into consideration. Instances of late arrival for the visits (or failure to visit) decreased by 59%. The efficiency and consistency, which LogiNext added to the Client’s system, helped them to cut down sales cycles (replenishment cycles) by 12% and increase their sales effectiveness by 25%. If this case study caught your interest, feel free to get in touch with us for a solution attuned to your specific business issues.